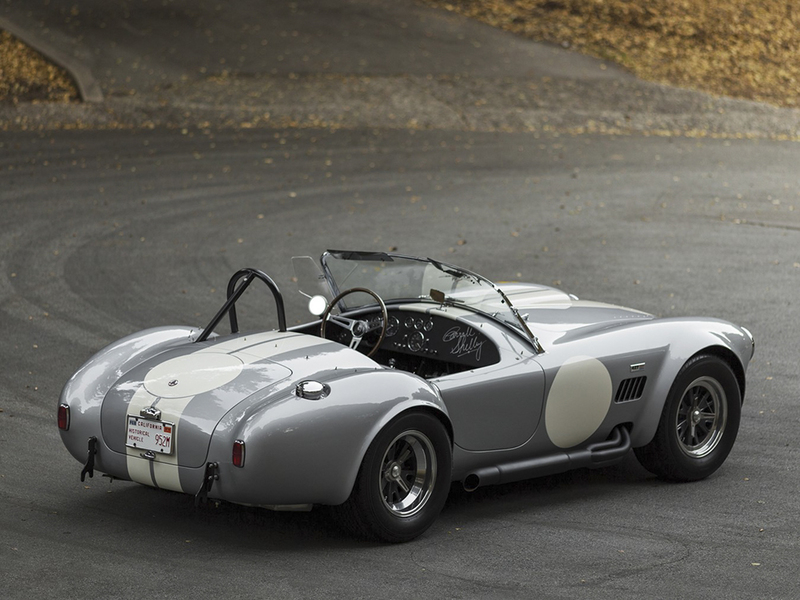 Preserved Original Shelby Cobra Auctions for nearly $3 Million! The Shelby Cobra 427 S/C is perhaps the greatest automotive example of the proverb ‘when life gives you lemons — make lemonade.’ Carroll Shelby was widely known for his chili, but it turns out he made a damn fine lemonade too! 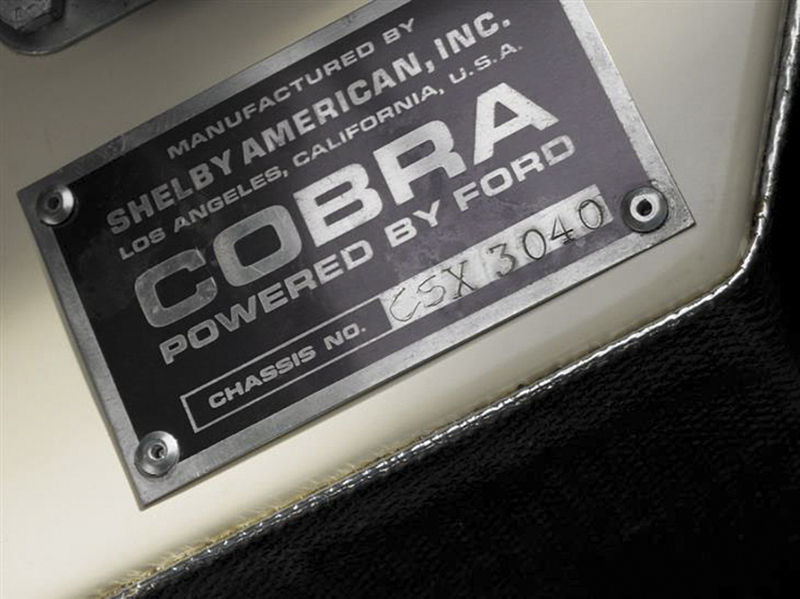 The S/C is now the rarest, most valuable of the production Shelby Cobras, but it was far from planned that way. Shelby set out to make full-competition Cobras eligible for FIA Sports car competition in Europe to take on the dominant Ferraris. However, to be legal to FIA regulations 100 examples had to be available to the public. Shelby had barely half that by the time the season commenced, and thus the FIA disqualified it. Shelby cancelled his remaining orders with AC cars for Cobra chassis, but he still had more than 50 race-spec cars sitting in his shop, and now his primary source of customer race teams was gone. One of his dealers came up with a novel suggestion: why not paint the race cars, retrofit them with street-spec windshields, signal lights and other basics, and market them as ultra-high performance road cars? So that’s what Shelby did. He took 34 of the cars previously destined for race use and designated them “Semi-Competition” models — S/C for short. The rest is history. A bit of that history just went up for auction in Arizona by RM/Sotheby’s this past weekend. 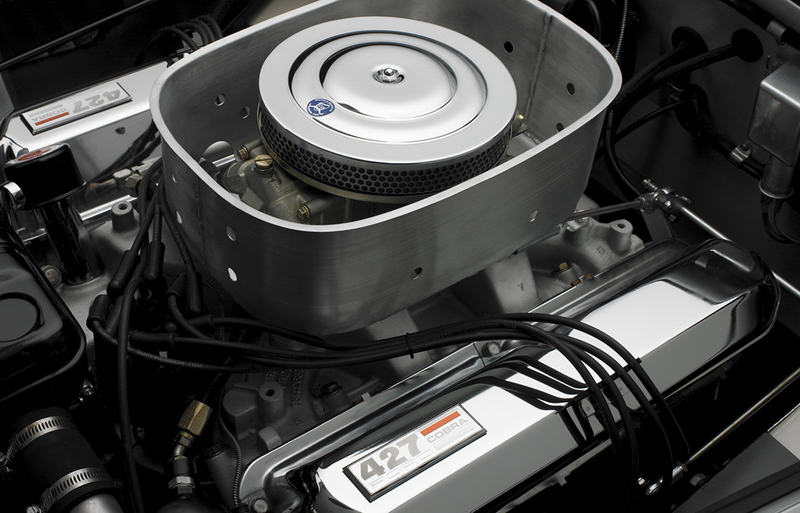 Chassis # CSX 3040 is a pristine silver S/C with low miles in remarkably original condition. Its one of the nicest, most original S/Cs in existence, and the sale price reflected that: $2.95 Million! 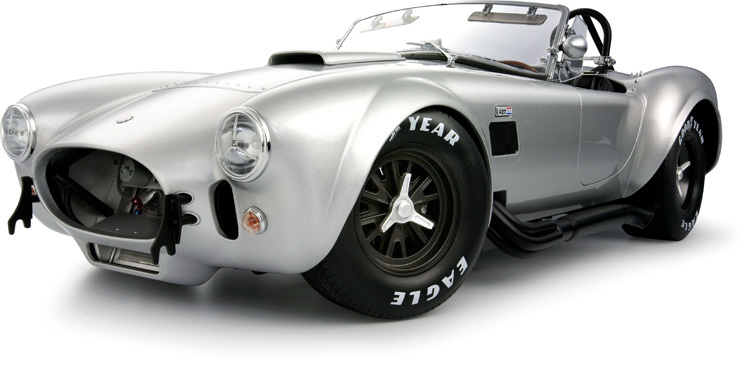 As princely a sum as that is, its not the most expensive Cobra ever auction. Shelby’s supercharged Super Snake once sold for 5.3mil, and the first Cobra ever built auctioned for a record $13.75 million! 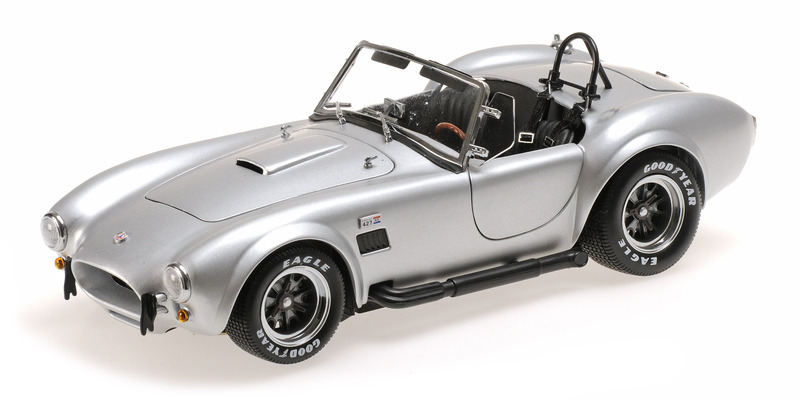 If that’s out of your price range, Kyosho has made several magnificent 427 S/C Cobras — including in silver like CSX 3040. Kyosho also makes this gorgeous silver 427 S/C in 1:12!